::: Off the Radar :::: Remixed! Australia's music scene is blowing up with artists like Cut Copy, The Presets, Empire of the Sun & PNAU. This is a great track to begin with and Fred Falke turns it into a funked-out, nu disco groove. The bass is more prominent and is accompanied by dreamy synth lines. Another group I've been into as of late is Melbourne, Australia's Vandalism. Smash Disco is a great club jam with killer electro synths, techno beats and awesome female vocals. The remix by Kam Denny turns this one into a dance number that's perfect for the floor. The final track is from none other than Blackpool's Little Boots. She is most known for her club smash single Stuck On Repeat. Her newest song New In Town, which is taken from the upcoming album Hands, is a poppy one that reminds me a lot of Annie. While the song itself is sub par, Fred Falke once again works his magic and transforms this one into a killer dance song with added guitar licks and synths that really bring the track over the top. 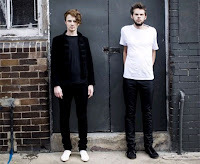 I love PNAU! I was living in Sydney when their first album had just come out (back in 2000, spent 4 months there) I LOVE Sydney! you must go, you'd love it.